More exciting MMO news continues to flood out of this years Gamescom in Cologne with the latest coming in the form of a series of closed beta announcements for My.com’s impressive MMO Arsenal – Skyforge, World of Speed and Armored Warfare. World of Speed – start of Closed Beta: Q4 2014. Alongside My.com Slightly Mad Studios revealed that the highly anticipated, high-octane racing MMO, World of Speed, will launch under the closed beta banner before the end of the year. The team also discussed details on new features including team modes and a unique team-based objective system. 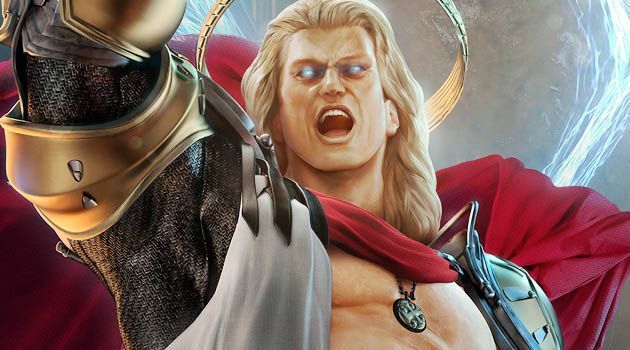 Skyforge – start of Closed Beta: Q4 2014. Obsidian Entertainment and The Allods Team had equally exciting news for fans of the MMORPG genre as they reveal another Q4 closed beta release with Skyforge. Armored Warfare – start of Closed Beta: Q1 2015. Last not least, Obsidian Entertainments action–packed Armored Warfare will also be joining the ranks of the closed beta games under the watchful eye of My.com, but at a later date, expected Q1 of next year. If you have yet to register your interest for any of the closed beta events check out the official website for Armored Warfare, Skyforge and World of Speed.